I’m home after two months, sailing Ranger from Tunisia to Italy. Here is a map of our journey. Thanks to crew Wally Wallace, Amy Carrier and Dave Pfautz for the 1,000-mile journey. 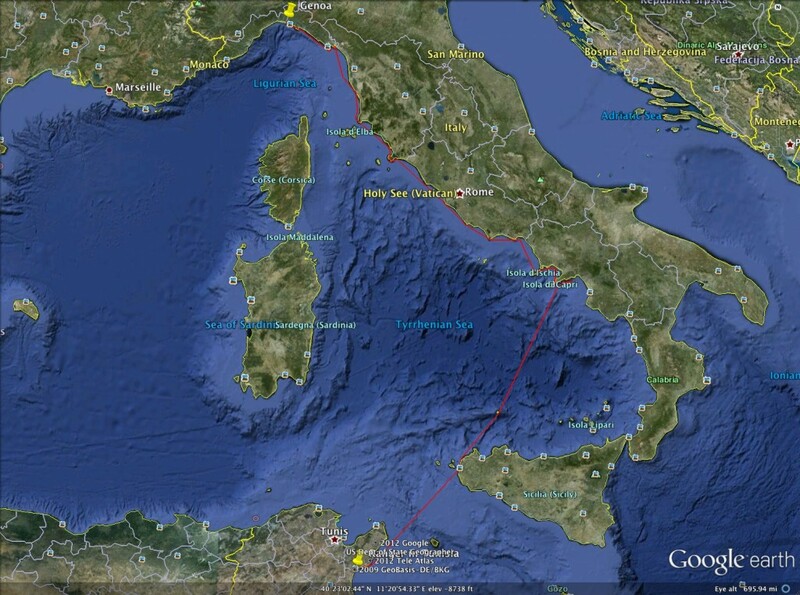 We left Hammamet March 15, and arrived in Genoa April 27. Ranger was sailed into a Dockwise freighter May 6, and arrived in Fort Lauderdale May 23. You can read about the voyage here. She is now in dry dock west of Okeechobee. This entry was posted in Uncategorized on February 29, 2012 by jimcarrier.